DeLonghis 2-oz. 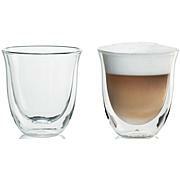 espresso glasses are made from borosilicate glass which makes it resistant to extreme temperatures and corrosion. 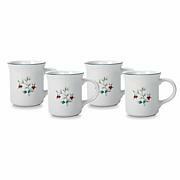 The thermal effect of the double wall helps keep hot drinks hot and cold drinks cold. The double wall also prevents condensation and excess heat from reaching your hands. 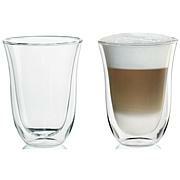 These glasses are comfortable to hold, dishwasher safe and perfect to use with any DeLonghi specialty coffee maker. 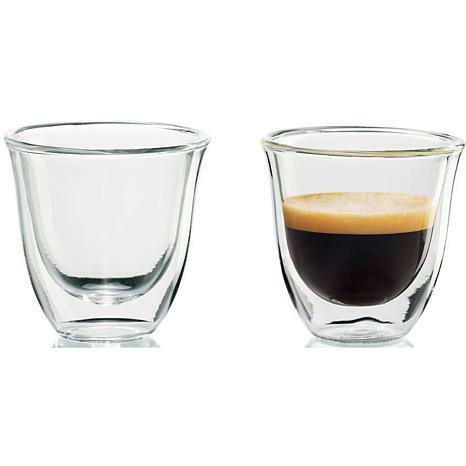 I really enjoy the capacity of these 2 oz espresso "giggers" for pulling a double shot of espresso in the morning. I use both, as the capacity for my machine takes up the majority of volume in both glasses if I set it to make two small coffees (shots). The quality of glass is good, I like the clear shots better than the opaque ones so I can see if the crema is correct in each one, or if my beans are getting low and I get a weak serving. I have an automatic machine that grinds my beans before I pull the shots, so these glasses are perfect for pulling them and then adding the shots to a beverage.It just so happens that I have a Delonghi machine, too. Quality all the way!